Owen Gottlieb and his interdisciplinary design and production team have launched two games, Lost &amp; Found and Lost &amp; Found: Order in the Court - the Party Game. A team of interdisciplinary researchers, designers and developers led by Owen Gottlieb, an assistant professor of interactive games and media at Rochester Institute of Technology, has produced two first-of-their-kind table-top games that aim to promote and enhance the public understanding of religion and law. 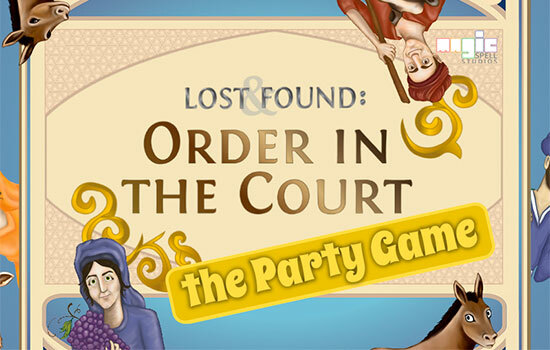 The first two entries in the game series, Lost & Found and Lost & Found: Order in the Court – the Party Game, are available for purchase. According to Gottlieb, the games give players and educators a unique perspective of 12th-century Cairo and teach about medieval religious legal codes. Gottlieb says the purpose of the series is to change the discourse about religious legal systems, enhance people’s understanding of religion, improve discussion surrounding religious legal systems and increase awareness of the pro-social aspects of religious legal systems, including collaboration and cooperation. In Lost & Found, players take on the role of villagers who must balance personal needs with the needs of the community, all while navigating medieval religious sacred law systems. The game centers on laws that help solve community problems and were handed down over hundreds and sometimes thousands of years of legal tradition. The initial model of the game teaches Maimonides’ Mishneh Torah, a medieval Jewish law code. In the future, the team plans to build out the game to incorporate Islamic and potentially other religious law systems. The second game in the series, Order in the Court – The Party Game, uses the party-game genre to have players compete by creating stories about possible reasons behind the formation of medieval laws. Played for humor, the game generates curiosity about the law and quickly moves players into discussing the possible reasons for and meaning of the laws. The games, available at lostandfoundthegame.com, are distributed through RIT’s MAGIC Spell Studios. Lost & Found is available for $38.99 and is geared toward high school and college-aged students due to its level of strategic complexity. The second, Order in the Court – the Party Game, is available for $35.99 and is accessible for junior high students as well as older teens and adults. The games are the result of nearly four years of research and development with help from graduate and undergraduate students, and faculty in RIT’s School of Interactive Games and Media and the College of Imaging Arts and Sciences. Professor Ian Schreiber of RIT’s School of Interactive Games and Media is core mechanics designer for the games. Gottlieb says the intricate details and architectural patterns drawn on the cards by RIT students are representative of 12th- century North Africa, and he views the games as teaching tools for universities, high schools, libraries and museums. The project was developed in collaboration with the Initiative in Religion, Culture and Policy @MAGIC, housed within RIT’s Center for Media, Arts, Games, Interaction and Creativity (MAGIC). Gottlieb is the founder and lead research faculty of the initiative, which cultivates new research focused on games, religious literacy, the acquisition of cultural practices and the implications on policy and politics. Also credited in the production of both games are the B. Thomas Golisano College of Computing and Information Sciences and RIT’s Office of the Vice President for Research. 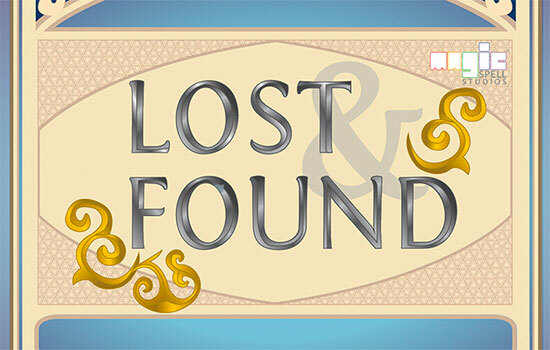 The digital prototype version of Lost & Found was supported and funded by the National Endowment for the Humanities.